This forecast is horrific. $20 to$25 billion in direct impacts to the Philippines, which is 6.5 to 7% of GDP, a massive hit. But the potential damage in China is eye watering. 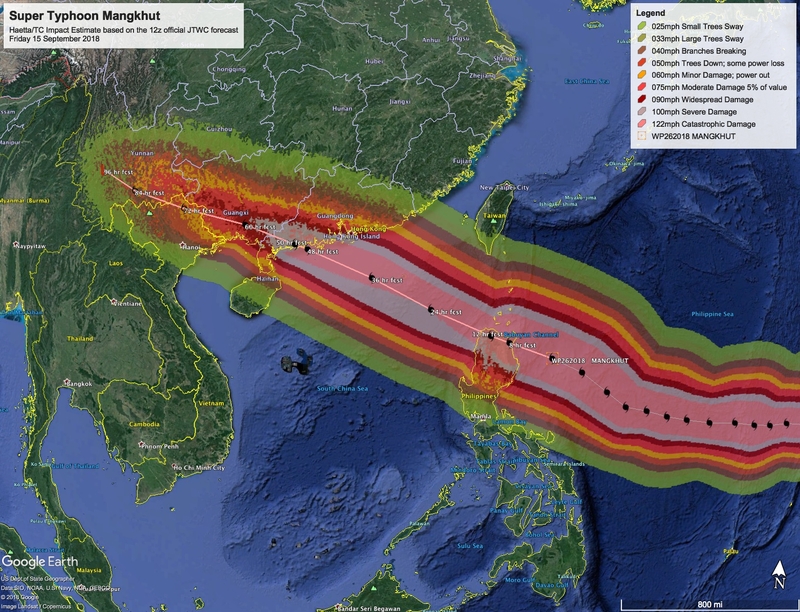 On the JTWC official track, damage to Hong Kong alone would be that much, with China overall seeing $120 Billion in impacts. But that’s not the worst reasonable scenario by far – the respected HWRF model, the track only a trivial 30 miles north of the JTWC forecast, shows a direct hit on Hong Kong, putting the eye wall of the storm directly across the city, and 6 meters (20 feet) of storm surge in to VIctoria Harbour. The damage for that scenario is truly phenomenal, over $135 Billion in economic impacts to Hong Kong alone, $230 to China overall … wow. 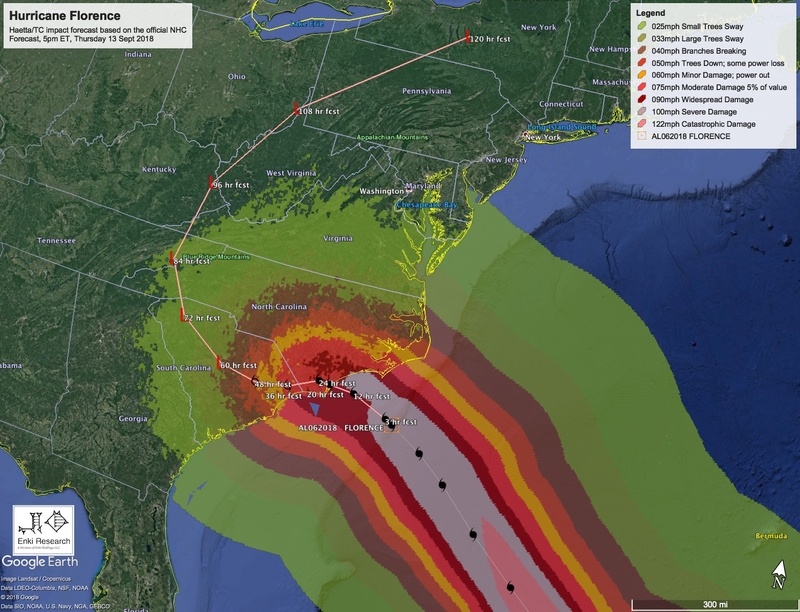 The humanitarian, economic, and political implications of such a disaster are hard to imagine. Conditions on the coast are rapidly deteriorating. 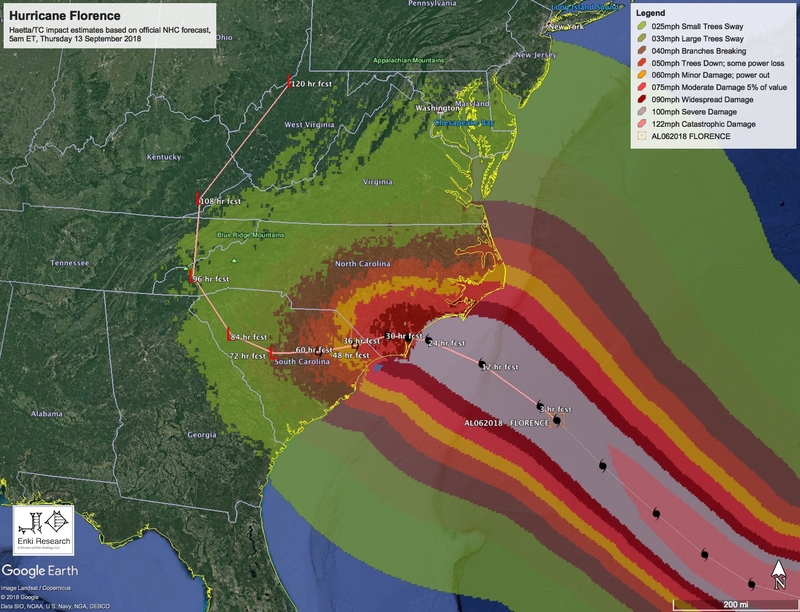 Unfortunately, given the slow motion of barely 5 mph if that, it will take its time coming ashore, so it will have plenty of time to batter North Carolina with waves, storm surge, wind, and rain. These conditions are likely to continue for the next 48 hours or so, 3 or 4 times the usual duration of adverse conditions in a hurricane. 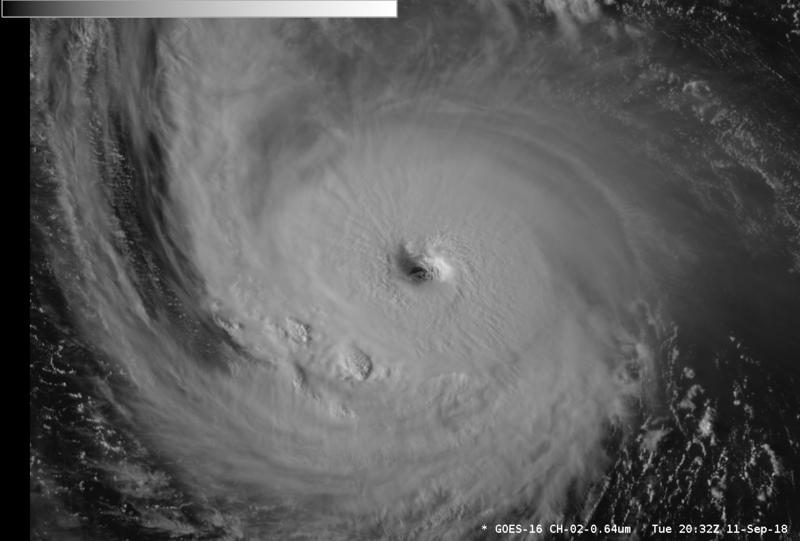 Damage is likely to total over $ 10 Billion dollars for the “hurricane” part of the storm. The inland flooding is another story. It could easily add another $5 to $10 Billion, depending on what floods and how bad. 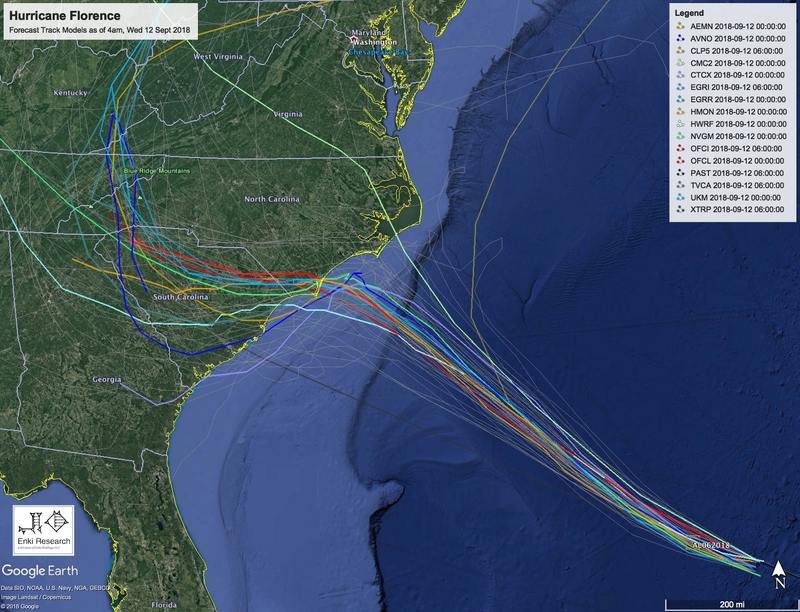 For folks in Savannah GA and the Beaufort/Hilton Head area, things look pretty good on this track. We’re on the weak, dry side of the storm. Winds will be offshore, so storm surge flooding will be nothing to worry about. Right on the coast, waves and wave setup might cause some issues, and rip currents will remain dangerous. Depending on wobbles, we may get rain, or just as easily get a clear if breezy day in the subsidence zone. But dangerous conditions (other than on the beach) just don’t seem to be in the cards right now. This is another long read, with some SCIENCE!, but the details of this matter – I hope you will be patient and read on. 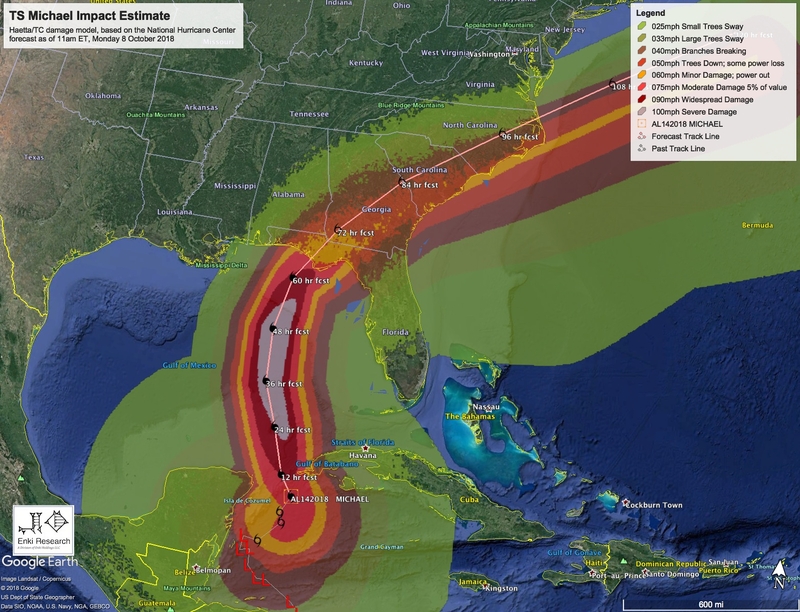 While I often touch on hurricane track forecast models, I normally stick with the official NHC forecast track when discussing the impacts of storms. There are a lot of good reasons for doing this. 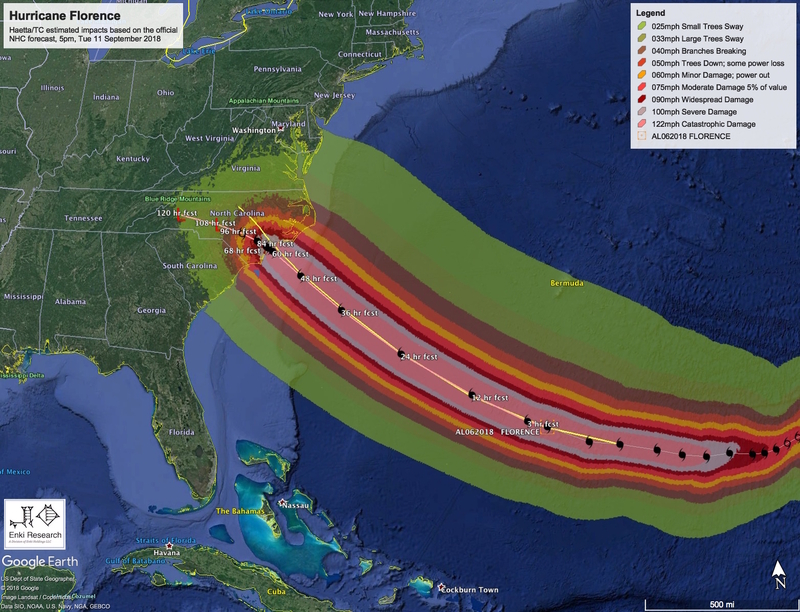 First, track forecasting is a very specialized profession, with a lot of complex factors involved. NHC has specialists to do that, and while I sometimes disagree with details, they are very good at it. Interpreting the multitude of track models is not an easy task. Second, given it is their responsibility to do official watches and warning, diluting their message to the general public is not a good idea. 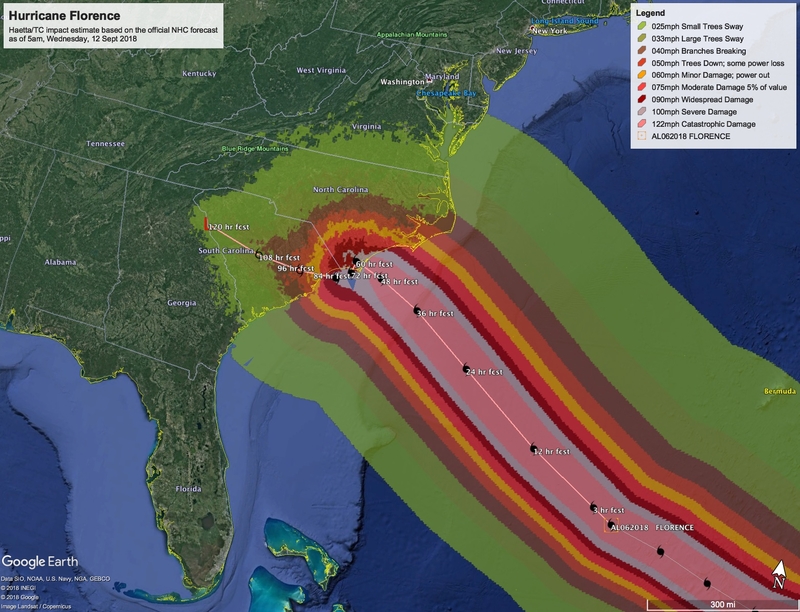 Some may say this is a bit hypocritical on my part, given my criticisms of Emergency Managers and evacuations, but there is a key difference – NHC are professionals who consistently do a good job. Governors issuing evacuations orders have a much spottier track record, in my clearly not so humble opinion 🙂 , so I feel free to trash them. The Global models (exemplified by the dark blue GFS line show the storm pulling up short of the NC shoreline before diving south. 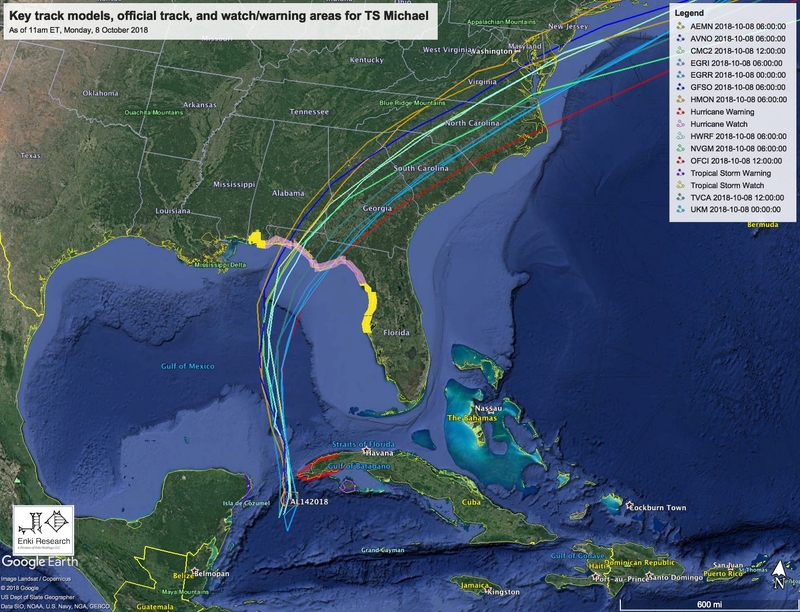 The dedicated hurricane models such as HMON (the replacement for the GFDL, shown in light green), the HWRF (shown in light blue) and the official track (red lines) don’t have the sharp right turn. There are a lot of reasons for this. 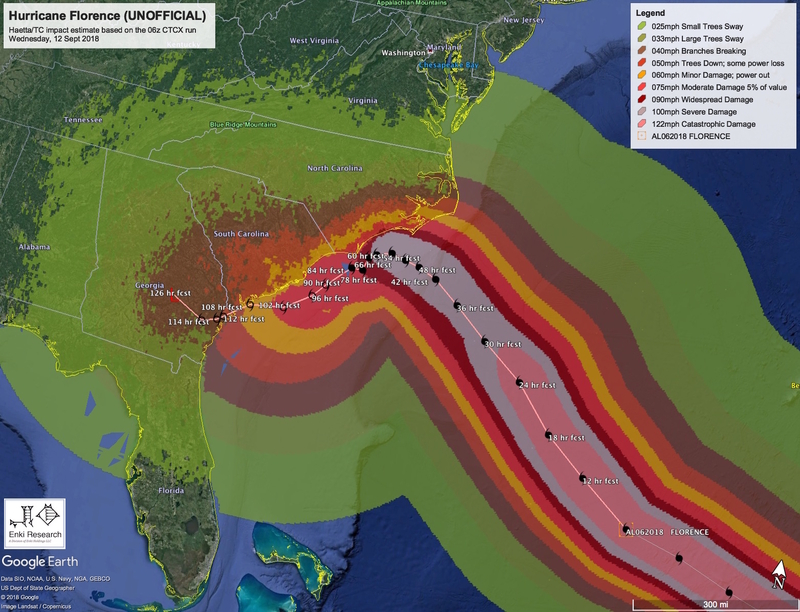 For the objective models, it is important to realize that while they are often good at forecasting hurricanes, and are used to provide “boundary” conditions for specialized models, they are not specialized, high resolution track forecast models. They often lack the detailed coupling to ocean models, and have less sophisticated model physics than the dedicated models. This gap has closed in recent years as global models have gotten better, but the gap remains. 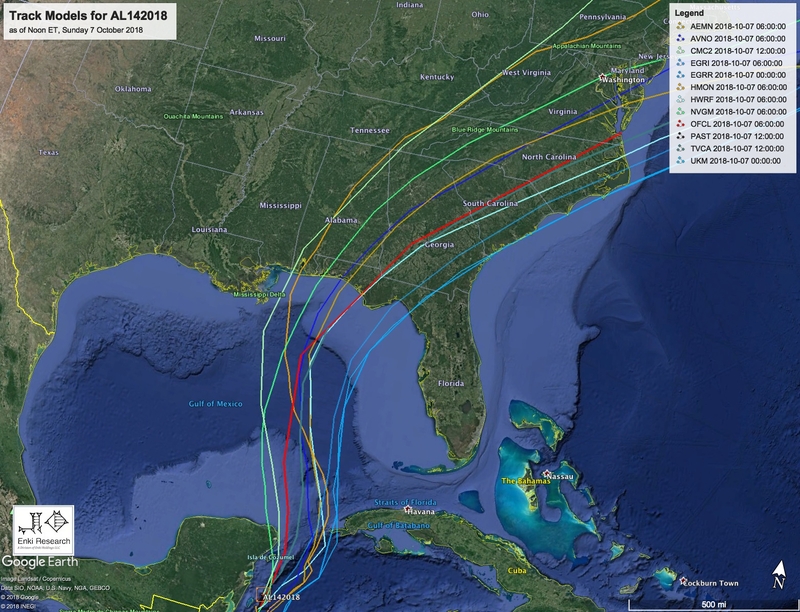 In their forecast package development, NHC takes in to account factors like this using their involvement in, and detailed knowledge of, these models. They also realize that models can shift radically from one iteration to the next. Every 6 hours, data from weather stations and satellites is collected globally and used to create a picture of what the atmosphere looks like at that time. These are the initial conditions. 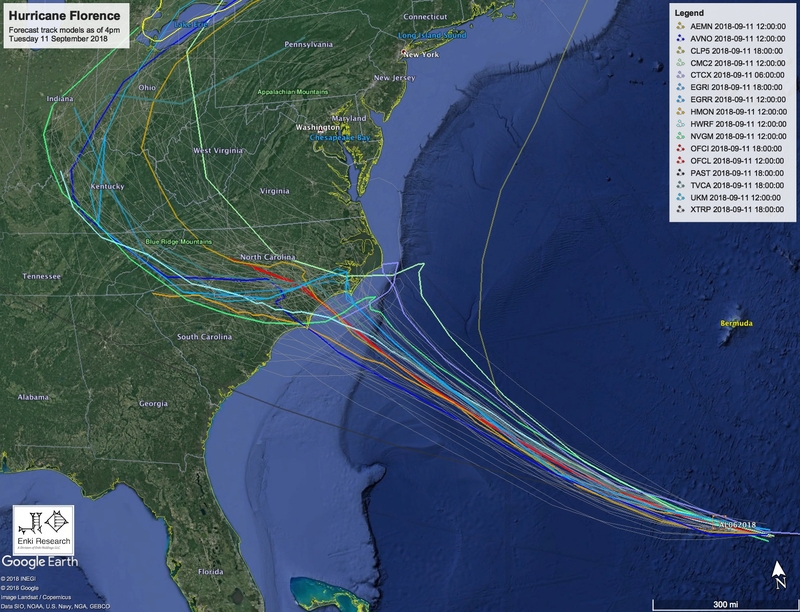 Those initial conditions are then used to spin up the global models, as well as the dedicated tropical cyclone models. That’s the simple version, but the details are very complex. Not all initial conditions are created equal. One small example: the 00Z (8pm ET) and 12Z (8am ET) initial conditions are often “better” than the 06Z (2am) and 18z (2pm) data sets. This is because most upper air observation sited only launch two balloons per day, at 00 and 12z. Sometimes you get a satellite pass over a storm at the right time, sometimes its 3 or 4 hours earlier. Sometimes you have airplane data, sometimes not. So when I fuss at meteorologists, weathercasters, and storm watchers for latching on to a model shift, that’s one reason why. 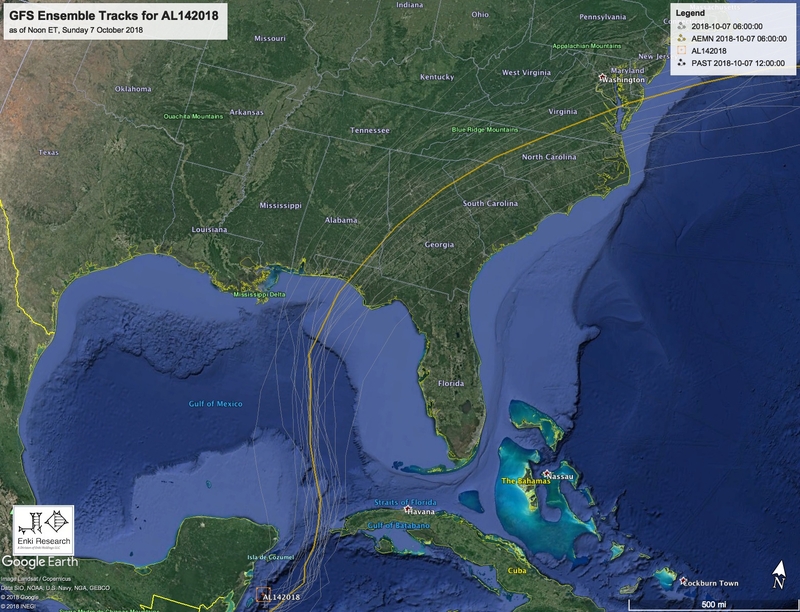 It’s also why the NHC sometimes seems slow to shift tracks to follow what seems to be shifting model data – they realize that it can just as easily shift back 6 or 12 hours later. There is much more to it than this, but I hope that gives you at least a glimpse into the fact this isn’t simple, or for amateurs. What about economic impacts? On the official track we are still looking at about $12 Billion in direct impacts. 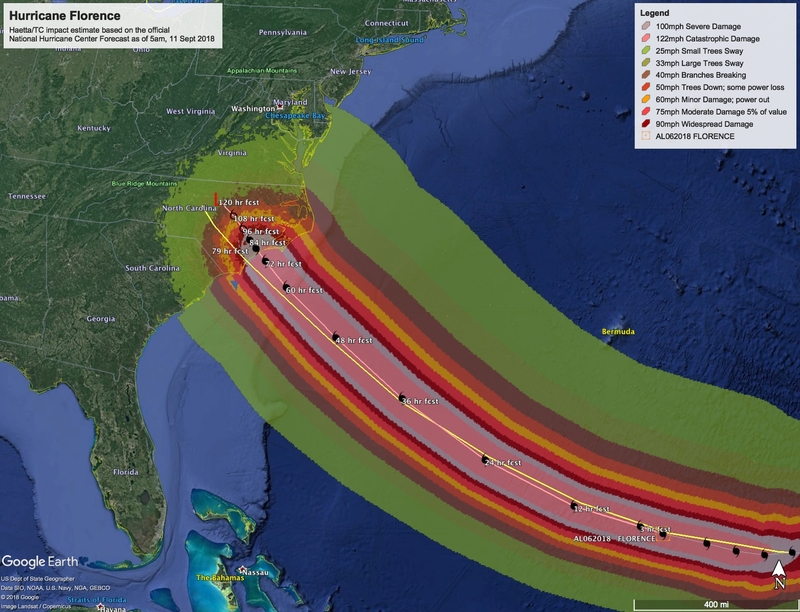 The HMON track would product “only” $5 or $6 Billion, while the CTCX track would likely cause $3 or $4Billion, because the stronger winds would stay offshore! 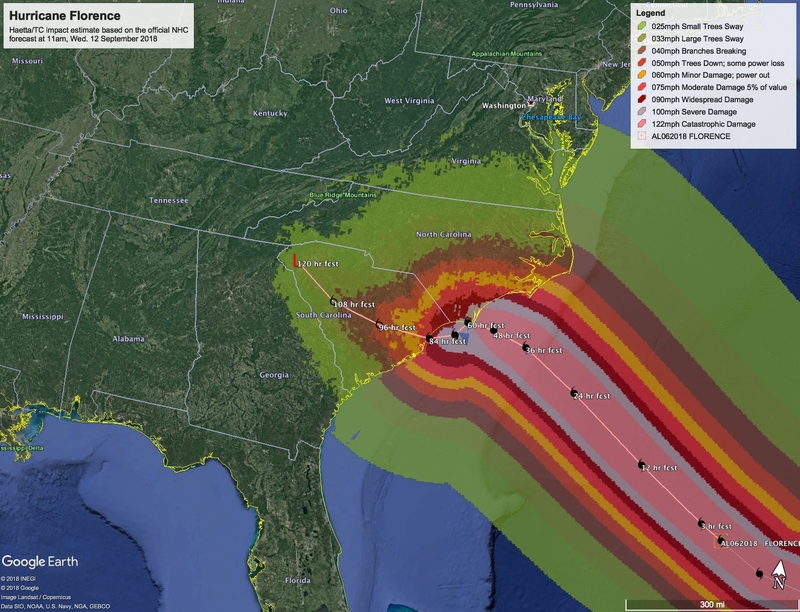 And what about the infamous “cone of uncertainty?” I see people making much of this or that city being “touched by the cone.” Well, to be honest, who cares. I hate that graphic. What you should care about is how strong the storm will be if and when it gets to you. 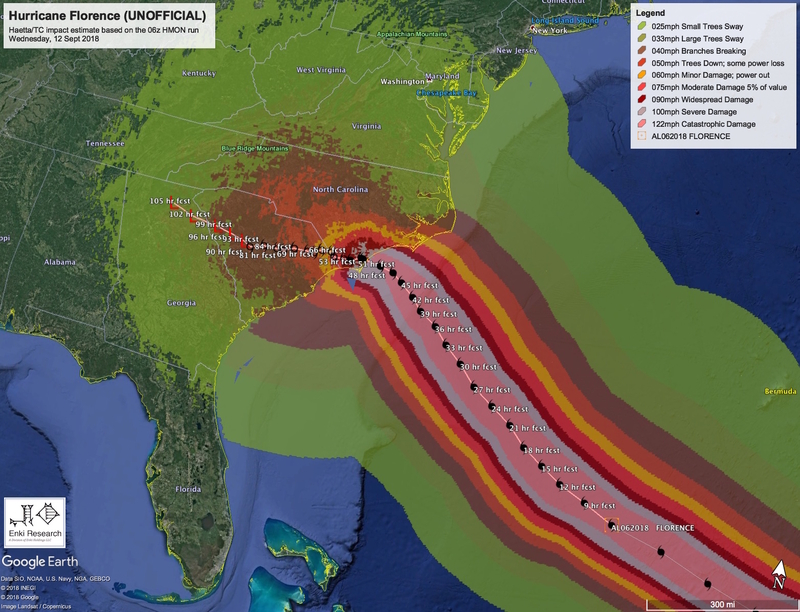 As NHC notes, bad impacts can exist outside the cone. But the opposite is also true. 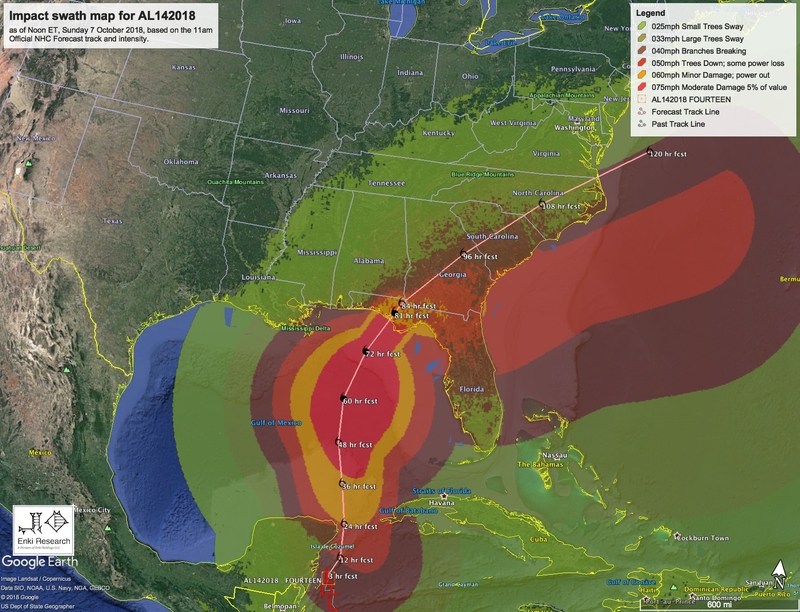 If the death cone touches you on day 5, when the storm is inland and barely even a tropical depression, and you probably wouldn’t even know it was a storm if somebody didn’t tell you, so what? So despite all the rending of garments and gnashing of teeth, because of the intensity of the storms on the scary scenarios showing a turn along the coast, the storm would weaken fairly radically, and the impacts would be less. 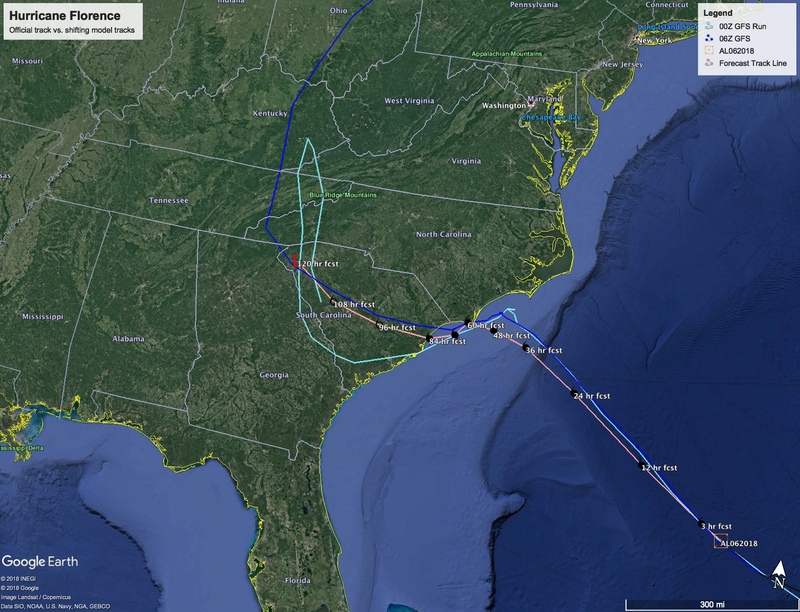 So the conservative path for NHC is to continue to slowly shift the track south (assuming the forecasts continue that trend), adjust the intensity accordingly. And, as you can see, the present watch and warning areas are in fact perfectly fine for this storm.